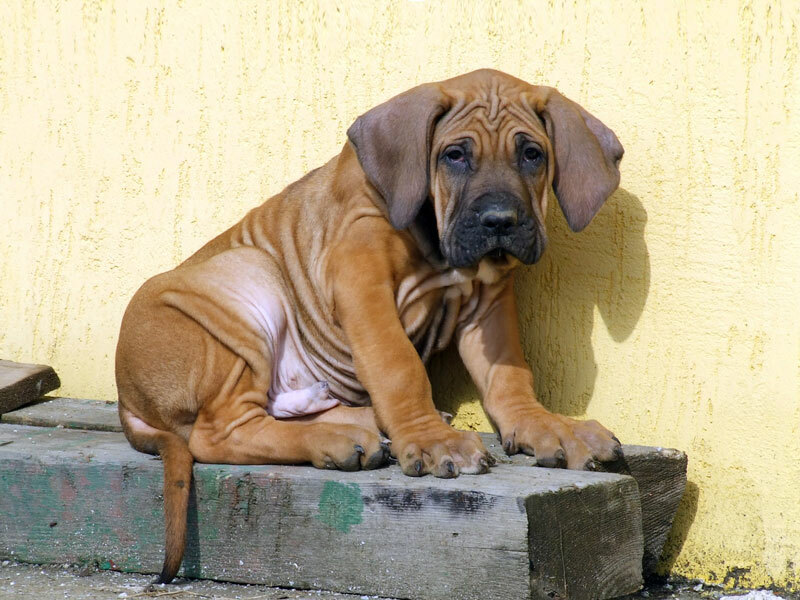 Fila Brasileiro – a dog or a large cat? 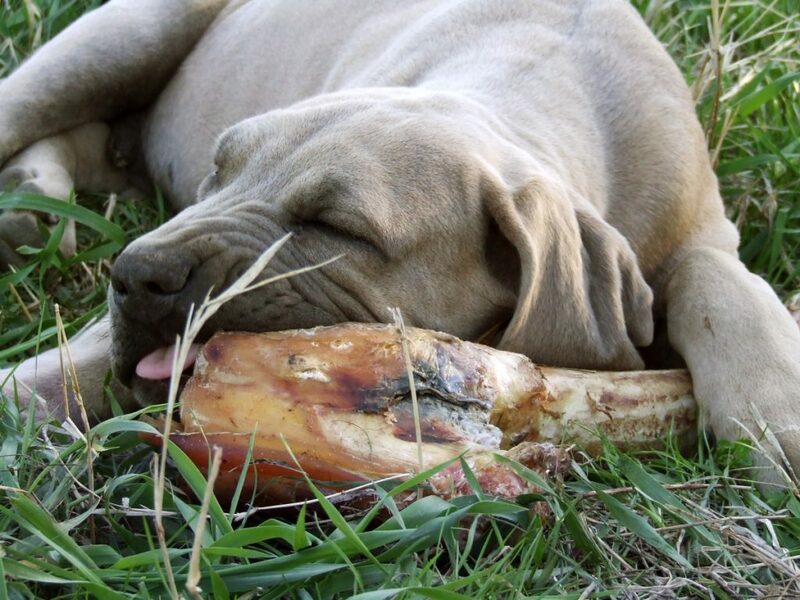 Fila Brasileiro is a very interesting breed unlike any other. 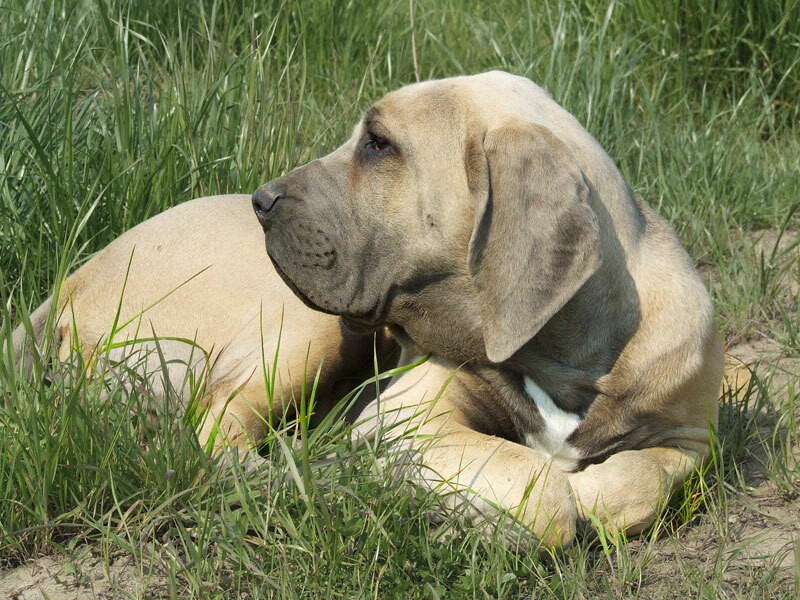 Fila Brasileiro dogs can deceive you with their appearance because they might seem very lazy, even clumsy, but in fact Fila Brasileiro dogs are very agile and efficient at the farms as working dogs or they are simply big family pets. Authentic Fila has a very stable nervous system. 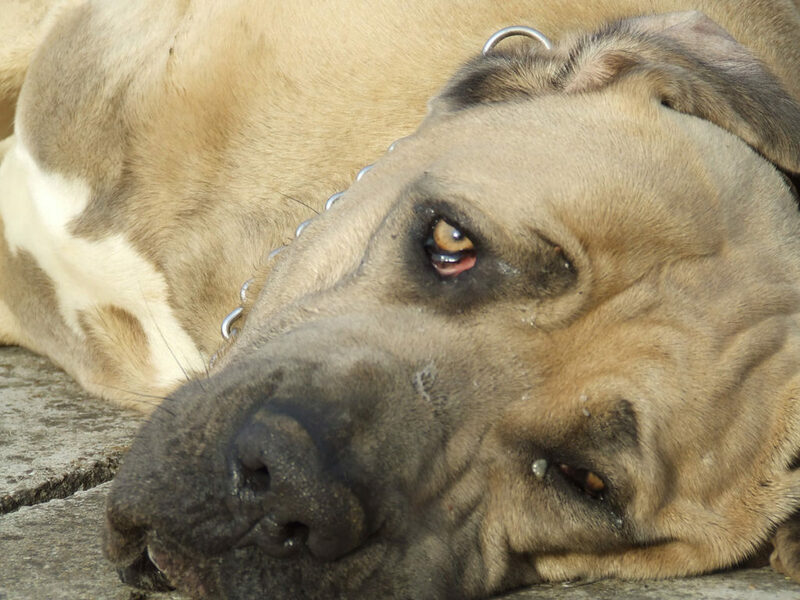 The appearance of a Fila (sometimes accidentally named Brazilian Mastiff) is very specific. 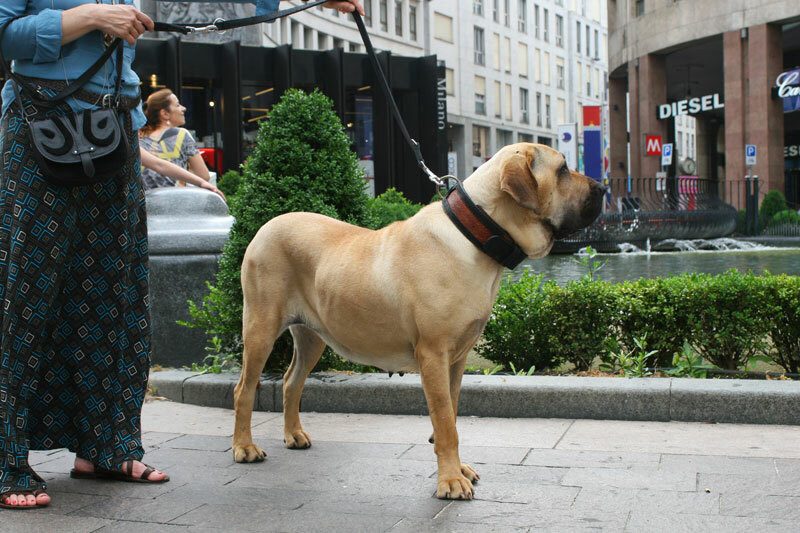 Fila is a molosser breed with large bones and lot of loose skin. 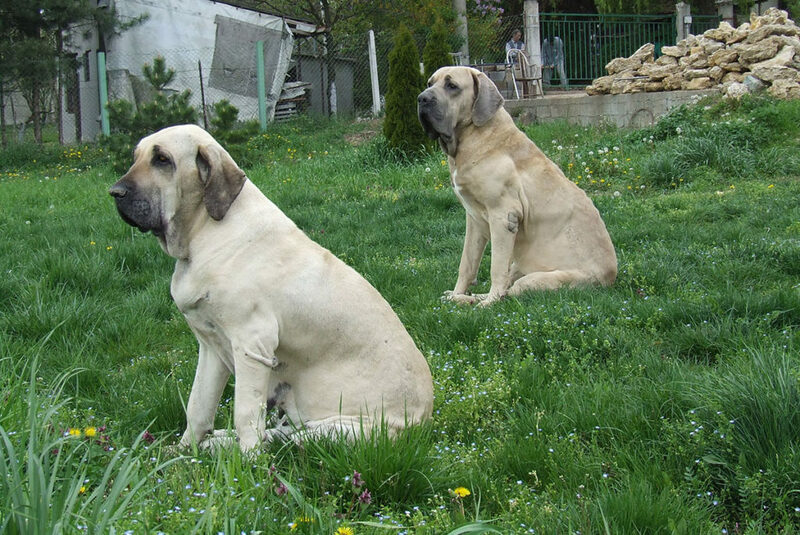 However, the most interesting about Fila Brasileiro exterior may be the way of moving its body that resembles to the walk of the wild cats. This gait also known as a camel pace allows them to have sudden and swift changes in direction while running. 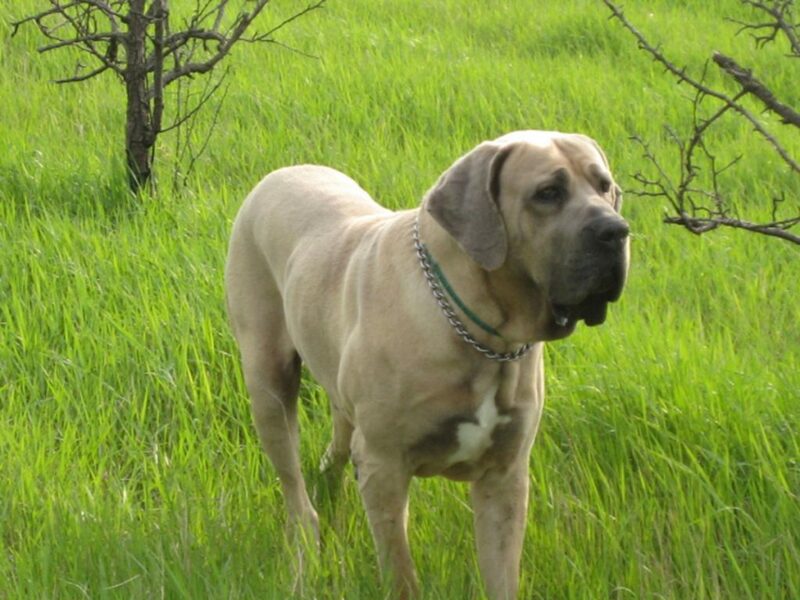 Fila Brasileiro is known for its superb tracking ability, intelligence and loyalty. Fila exhibits a distrust to people she doesn’t know i.e. doesn’t like being touched by the strangers. This genetic disposition is called ojeriza in Brazil. But Fila Brasileiro is a fearless and stable dog. Furthermore it is an extremely loyal dog, strongly attached to its human family. There is no need to teach or train your Fila to protect you or your family because it is her natural behavior. The undisputed guardian is loving and gentle towards her human family: those that she sense her own, Fila simply adores. In her everyday life she will show a wide range of doings that will cheer you up. They are playful, curious, charming dogs. Filas are also very gentle with the kids and smaller pets and they can withstand a lot. 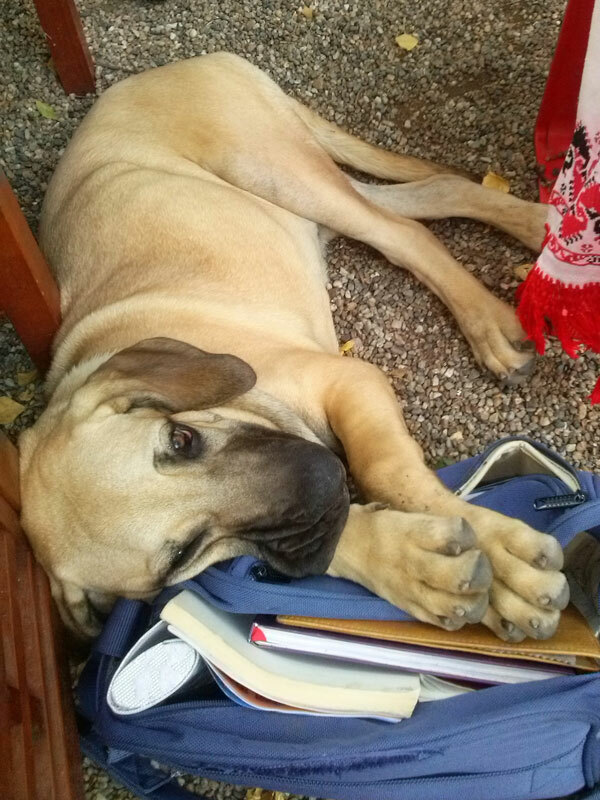 Fila Brasileiro may put your patience to the test during her growth because of her untamed curiosity. All we can say there is that your patience will be undoubtedly rewarded as she matures – you won’t be let down. Again Fila is a dog that needs consistent rules during her growth and her owner needs to be persistent but calm. Some may claim that Fila needs a dominant owner but even more than other molossoid breeds her owner needs to be dominant in love, care and commitment! 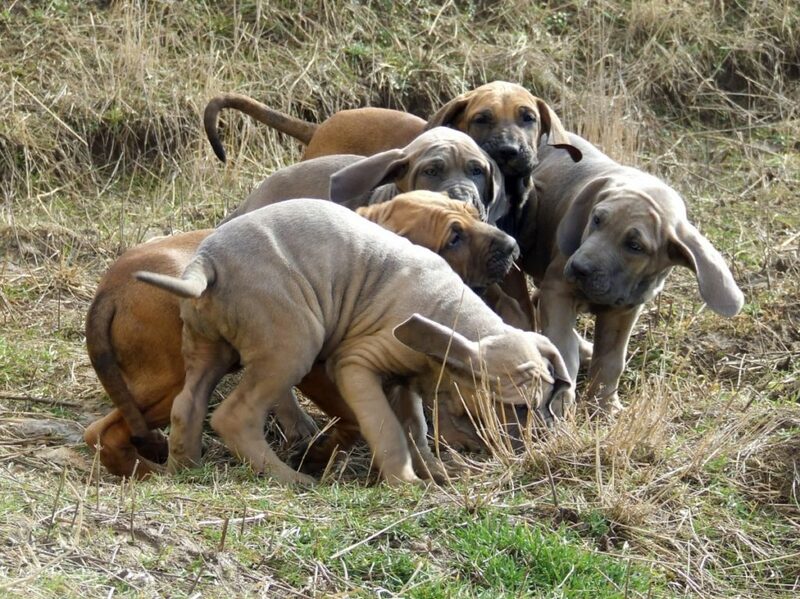 Early socialization is one of the elements to the successful ownership of Fila Brasileiro dogs.